Not too long ago, during the simpler travel lifestyle of Filipinos, this town at the eastern metropolitan doorstep was every urbanite’s weekend getaway. WAWA WONDERFUL. Once a favorite weekend getaway, Montalban in Rizal province is once again luring metro dwellers to explore its natural and man-made wonders. Rodriguez town, also popularly known as Montalban in Rizal province was and still is an inexpensive excursion place for outdoor lovers. 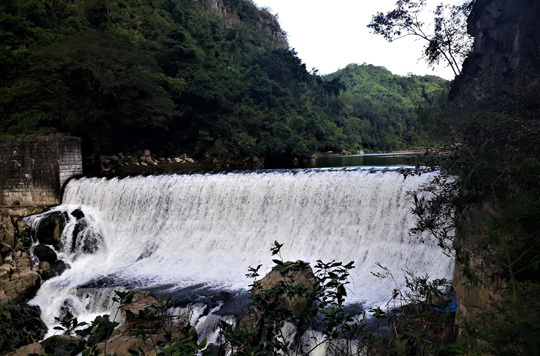 In just 30 minutes from the urban jungle, one is transported to the Pamitinan Protected Landscape (PPL), a 608-hectare nature reserve which covers Montalban Gorge, Wawa Dam, Upper Marikina River, Pamitinan and Binacayan mountains, and Pamitinan Cave. Referred to as “Wawa” by trekkers, the area is both legendary and historic, which adds to the magnetic pull of the place. Mt. 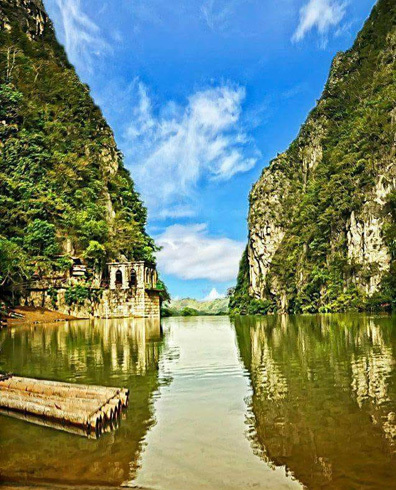 Pamitinan is rock climbers' favorite because of its jagged limestone crags and breathtaking mountaintop vista, while the dam is ideal for good old picnic by the cascade. According to folklore, the twin peaks is where Filipino giant Bernardo Carpio once stood and prevented the land masses from colliding. A white limestone boulder resembles what is believed to be the footprint of the fabled character who is likened to the Atlas of ancient Greek mythology. Meanwhile, the multi-chambered cave is a Katipunan hideout where freedom fighters led by Andres Bonifacio declared “independence” from Spain for the first time in 1895. It can be explored with permission from local authorities. The municipal tourism has developed a new activity in the area—a river cruise with Dumagat tribesmen serving as boatmen and tour guides. Beyond the PPL, adventurers can venture into the mountains of Puray, Hapunang Banoy, Paruwagan, Susong Dalaga, Sipit-Ulang, Lubog, Parawagan, and Balagbag, in the mighty Sierra Madre range. Tucked within these geological formations are the waterfalls of Puray, Biteng Uhay, Payaran, Tu-Ay, and Karugo, and a series of caves which shut travelers off from the outside world. Off-road enthusiasts can take their motorcycles, mountain bikes, or 4x4 vehicles to upland Macabud village which is known for its tree canopy that provides a soothing shade. The good news is this old-time getaway is making a comeback and is trying to lure families who want to frolic in its exciting inland resorts. 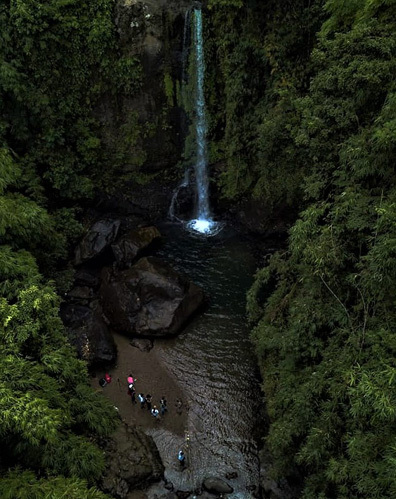 Among the noteworthy resorts in Montalban are Costa Abril known for its wave pool and slide pools; Rancho Luisito for its zipline, giant pail and waterslides, and outdoor wall; and Noah’s Park for its team-building facilities and hanging bridges. A favorite chill out place due to its open-air bar is Coco Mountain Resort, themed like an Australian surf camp and fronts an Instagrammable mountainscape. Schoolchildren will be fascinated by Avilon Zoo, a man-made safari which is arguably the biggest and best in the country. 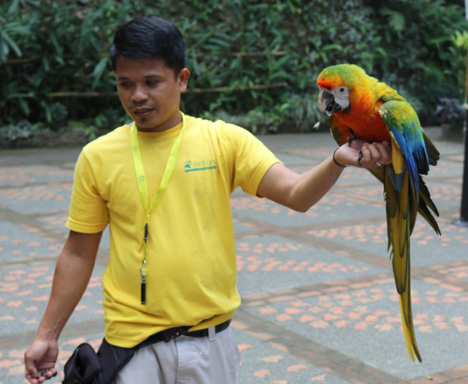 This 7.5-hectare park houses nearly 3,000 animals, a good number of which are imported. For a glimpse of local heritage, visit the ancestral home of the eminent Senate President and statesman, Eulogio “Amang” Rodriguez, whom the town is named after. Considered a “living museum,” the typical Spanish stone house showcases his memorabilia including portraits, paintings, photographs, vintage car, and other personal effects. The mansion has undergone minimal physical repairs over the decades and is currently inhabited by the late patriarch’s descendants. For a hearty meal, local favorites are the nondescript carinderias offering sinigang na tilapia and an assortment of goat dishes. The town has interesting homegrown dining outlets, most notably Kristal-G Ristorante which boasts cozy interiors, Italian-Filipino cuisine, and acoustic music, and its sister café, Coffee & Pastry Shop by Chef G. For snacks and take-aways, Tia Goye Kutsinta offers kutsinta and bibingka galapong. With the unique blend of legend, adventure and leisure, Montalban beckons weekend warriors to explore its gems.